Pullbox Reviews: Whatever Happened to the Archetype #1- Were the “good ole’ days” really so great? All four issues available now! 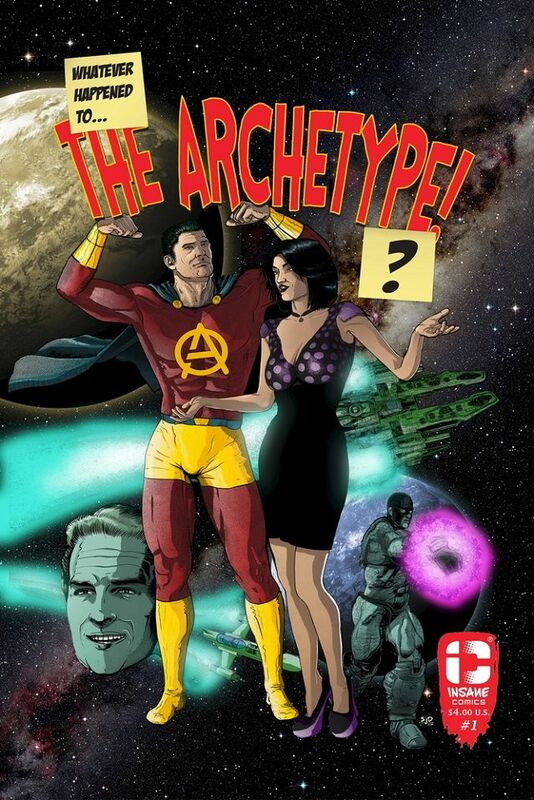 ‘Whatever happened to The Archetype?’ is a four part superhero/ sci-fi ‘epic’ that tries to answer the question – What happens when caped avengers get old and everyone thinks that their superhero persona was either a myth, or worse still the ramblings of a crazy old man? 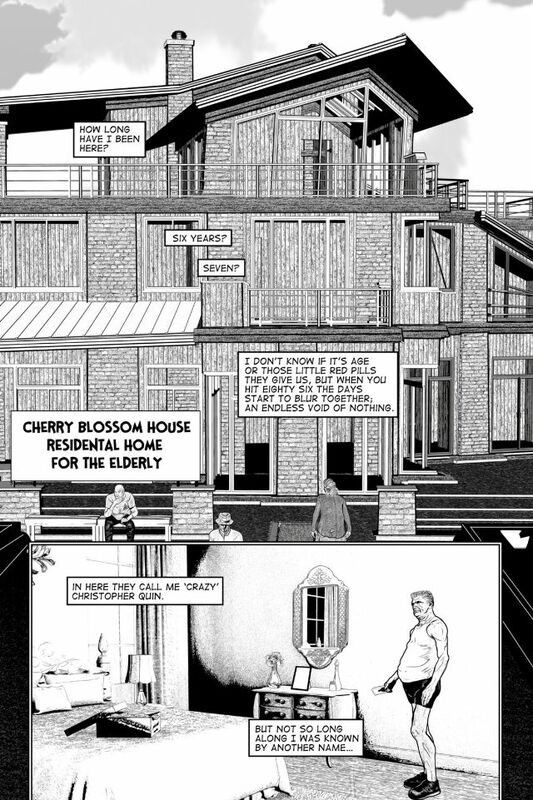 At the Cherry Blossom Residential Home for the elderly, long-time resident Christopher Quin tells his life story to a mystery visitor and attempts to convince him of his alien heritage, his past life as a superhero, and his relationship with 1940’s supervillain Frenzy. 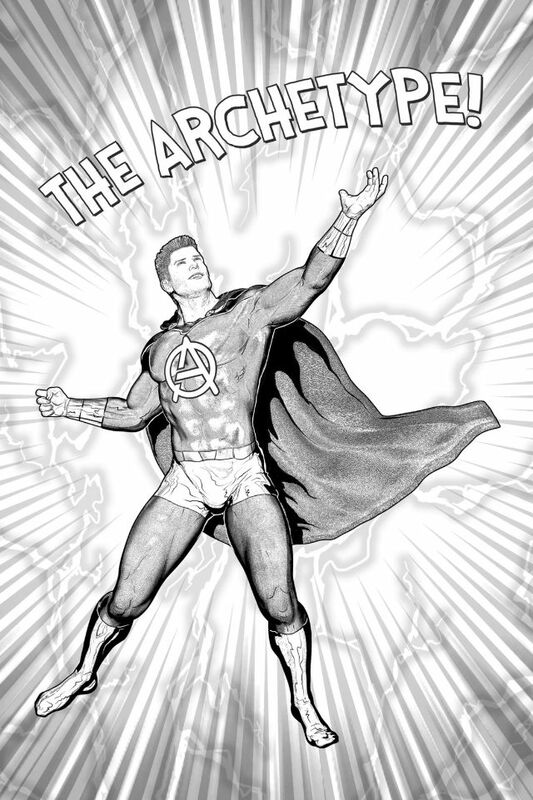 The Archetype is just what his name implies… He is the epitome of all things “super”. He has all of the benchmark super powers: invulnerability, flight, super senses. He’s even got the archetypical origin story down. He came to Earth from the distant planet of Arcadia, a peaceful world with a culture based around education and advancement. While on a mission to find his missing brother, his ship inexplicably went off course and crashed here on Earth. Arriving on December 25th, 1944, was a complete accident, but he made the best of it, using his gifts to benefit all mankind. 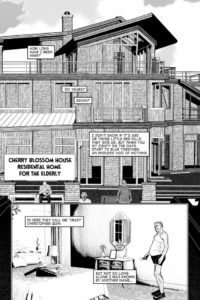 How is it, then, that after a lifetime of service he winds up a resident of the Cherry Blossom Residential Home for the Elderly? How has an entire world forgotten the truth of the Archetype, relegating him to the status of myth? All great questions, and all answered, no doubt, over the course of this four issue mini-series from Insane Comics. Stu Perrins has put together a world filled with superheroes, but one that doesn’t always seem to treat them fairly. This isn’t a story about heroic adventures, although they will play a part in the narrative… more as a backdrop to the truth of it all. Why do we treat our heroes so poorly, using them when we need them and then shuffling them to the side when they don’t have anything left to give? It’s an interesting question, and it’s the one I found myself asking more than once as I read this book. What Perrins and Gravelle have created is a humanized look at the life of someone more than human. If for no other reason, that original spin on superhero tropes makes this a book worth reading.